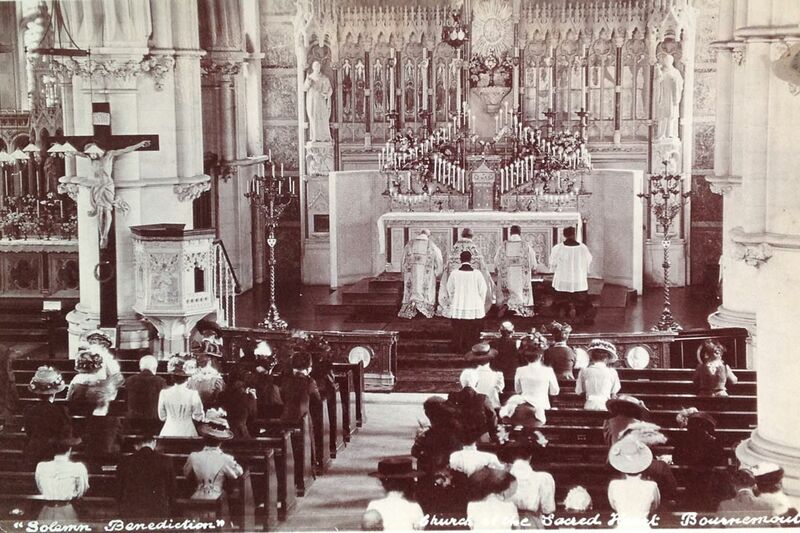 Fr Dominic was very pleased to find this old postcard of Solemn Benediction of the Blessed Sacrament in our church, recently. Judging by the ladies’ hats, this photo was taken in the last years of the nineteenth century or perhaps in the early Edwardian era. The old Lady Altar ( currently St Margaret Mary’s altar) is clearly visible on the left hand side of the sanctuary, which seems so beautifully spacious and light. Where are those splendid standard candelabrae now?